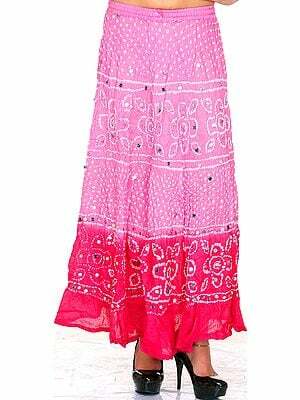 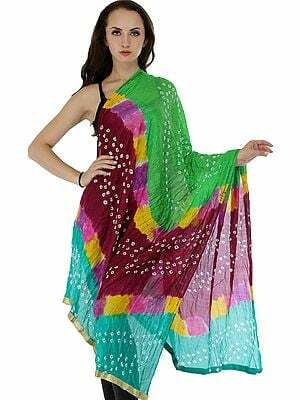 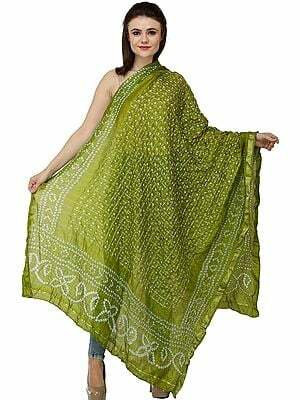 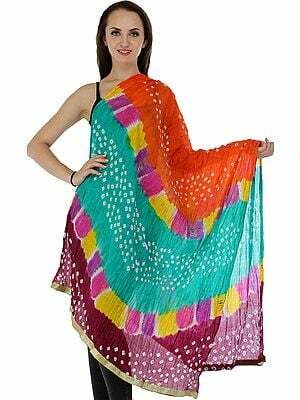 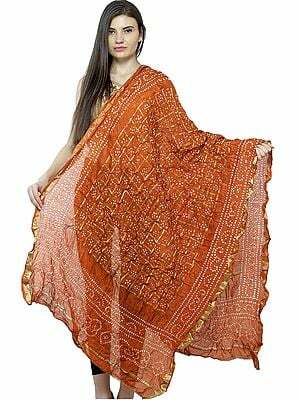 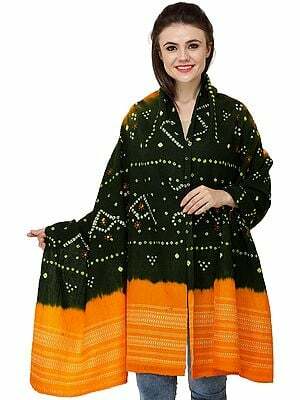 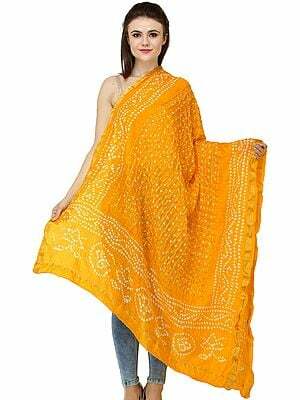 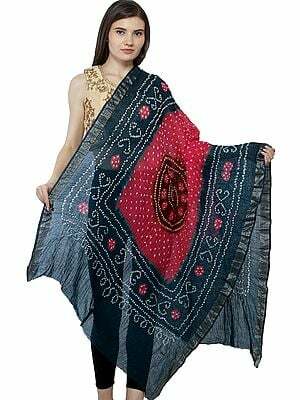 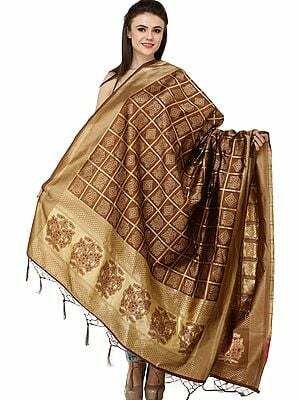 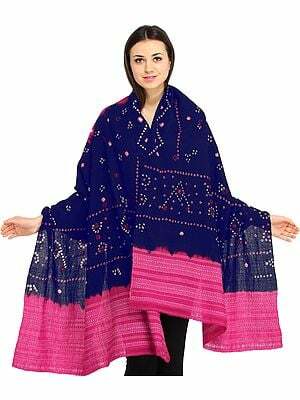 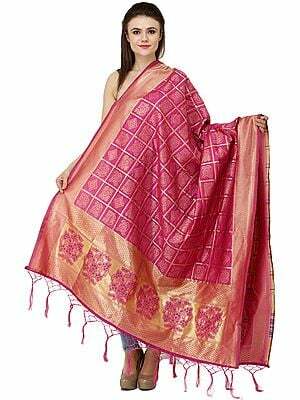 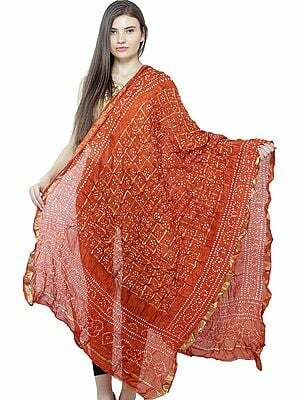 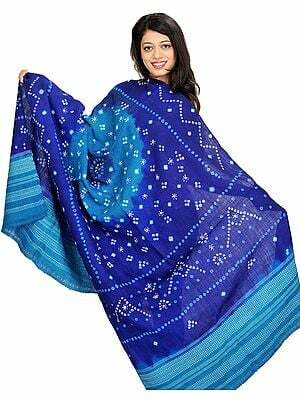 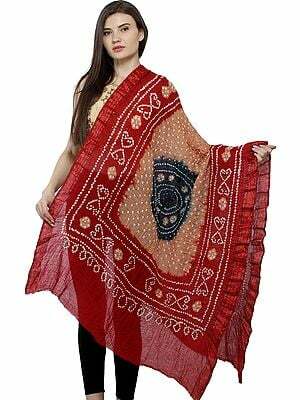 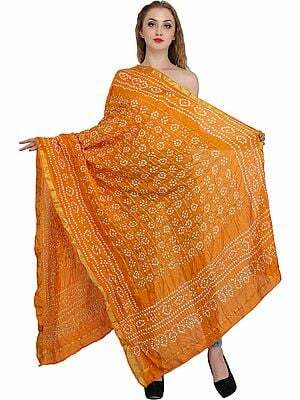 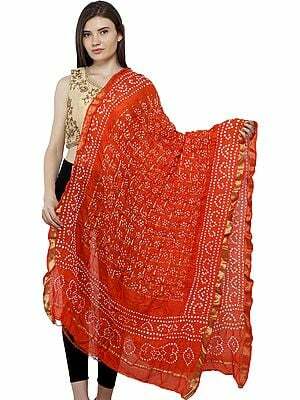 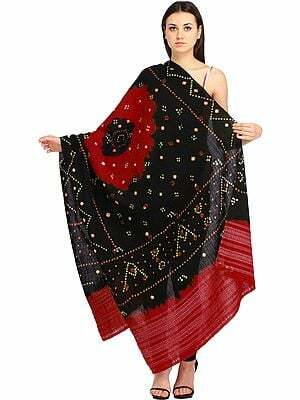 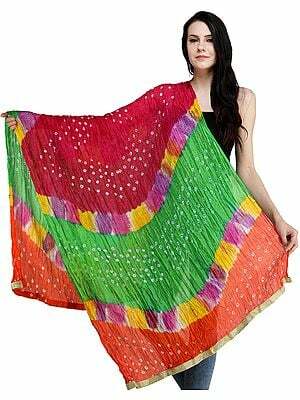 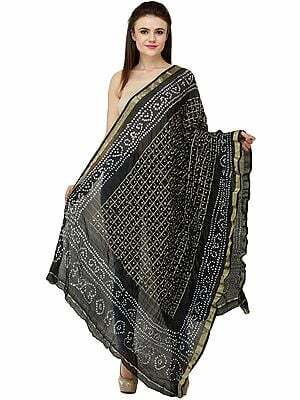 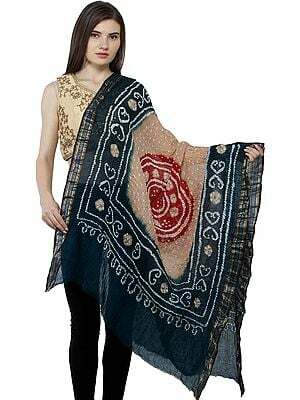 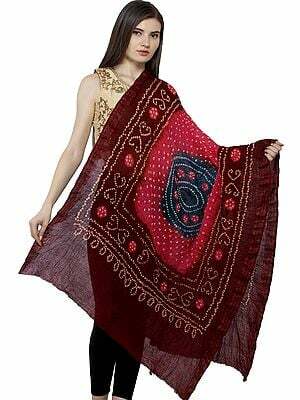 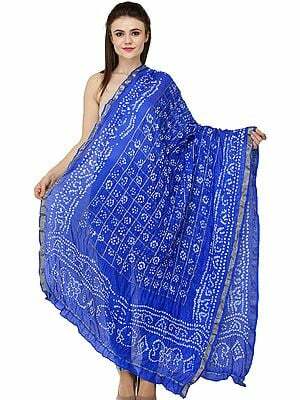 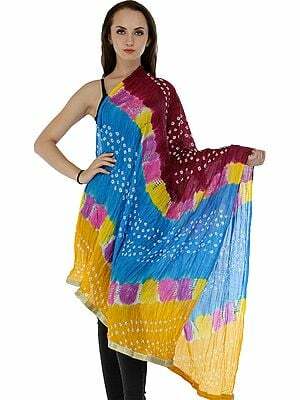 Nothing like a bandhani-on-gajji-silk dupatta to add some jazz to your wardrobe. 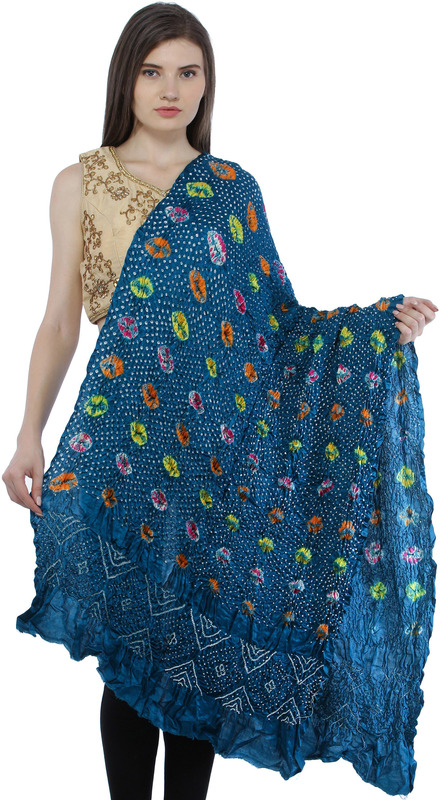 The satin-on-silk weave works wonders for the colourful tie-and-dye print in the foreground, while the high-shine fabric lends oceanic depths to the blue foundation. 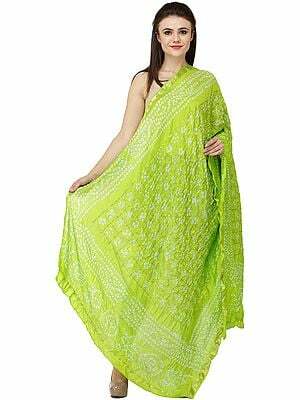 Note the youthful, ruched-up edges of this number, with more tie-due patterns in pristine white. 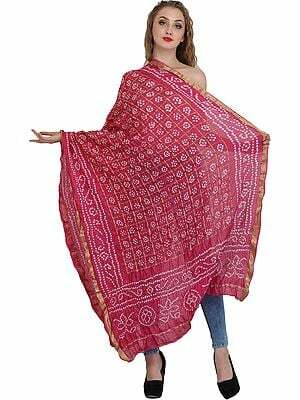 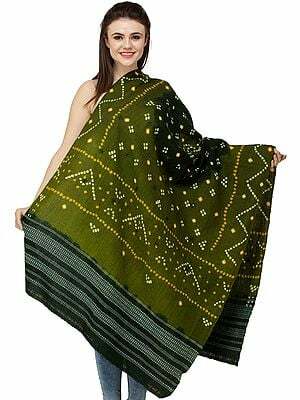 This dupatta would look great with a solid-coloured suit in a neutral tint or complement a top of similar colour as a scarf. 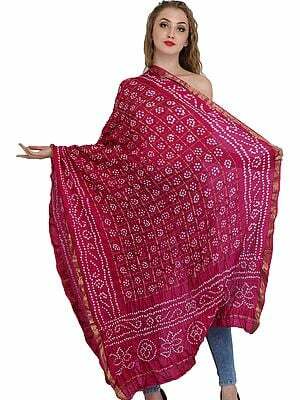 13.0 in. 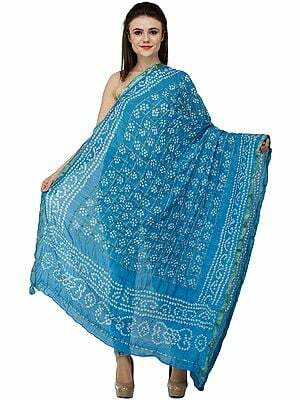 x 18.0 in.